Approaches to dealing with heterogeneous student populations have been the focus of debate in educational literature over the years. 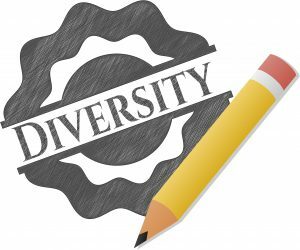 Many educators believe that the creation of homogeneous classes is the most effective way to deal with this issue. This solution, however, has come into question in recent years on the basis of both its effectiveness and its practicality. A number of alternative methods of dealing with heterogeneous classrooms have been suggested. A) Day schools are increasingly drawing a varied population in terms of socioeconomic background, cultural background, and academic ability. B) Most day schools do not have large enough populations or sufficient resources to create effective homogeneous groupings. Many lack the resources to provide adequate support services for gifted and learning disabled students. C) Multi-ability programs are beneficial for heterogeneous populations. Yet, because of the double curriculum, day school programs tend to be academically based with a strong emphasis on verbal and math skills. Programs in physical education and the arts are less intense than those in the public schools and are greatly reduced on the high school level. The length of the school day makes it difficult for students to participate in extra-curricular activities. D) There is a severe lack of Jewish Studies pedagogical material that fosters grouping within the classroom or multiple ability presentation. It becomes the responsibility of the teacher to create such materials. Yet, most Jewish Studies teachers were nurtured in traditional educational settings and lack the requisite training that would enable them to create effective learning materials and handle the management of multi-level programs.Thus, unique solutions must be sought to help our day schools effectively address this issue. claims that social interaction among individuals with different profiles leads to a higher level of cognitive development. She bases her thesis on the theories of Vygotzky (“self-regulation”), Piaget (“socio-cognitive conflict”), and Bandura (“social learning”). Dr. Ben Ari presents research results that confirm increased achievement in heterogeneous instruction characterized by verbal interaction among students. Homogeneous Ability Groupings – Those who adhere to the assertion that learning is maximized through homogeneous classes, can improve learning in the heterogeneous classroom by means of homogeneous ability groupings. This approach requires the creation of appropriate multi-ability level materials and the correct balance of frontal presentation and group class work. An example of this approach for Jewish Studies can be found in the Matach Mikra Series (HaTokhnit L’limud Mikra b’Gisha Ha’yihidanit) which provides workbooks on three different levels for the books of Breishit and Shemot. Intra-personal Intelligence Gardner defines an intelligence as the ability to solve problems or fashion products that are of consequence in a particular cultural setting or community. He supports the biological basis of these intelligences by pointing to prodigies who exist in each of these areas. A person with spatial intelligence has the ability to form a mental model of a spatial world and is able to maneuver and operate using that model. Successful sailors, engineers, packers, surgeons and sculptors are examples of individuals with a highly developed spatial intelligence. Bodily-kinesthetic intelligence is the ability to solve problems or fashion products using one’s whole body or parts of the body. It may manifest itself in highly developed dancers, athletes, surgeons, or craftspeople. Interpersonal intelligence is the ability to understand other people and how to work cooperatively with them, and may be found in successful salespeople, politicians, teachers, counselors, and religious leaders. Gardner believes that all of the intelligences are of equal importance.The multiple intelligence theory has practical implications for classroom instruction. By gearing one’s lessons to the variety of intelligences rather than limiting instruction to linguistic and mathematical logical instruction, the teacher will be able to reach all of the students in the class and maximize their learning. The multiple intelligence classroom will be more student centered and will be characterized by a variety of instructional methods and learning activities. This approach is reflected in a fourth grade workbook on the book of Bamidbar (Shiurim B’Sefer Bamidbar L’Kita Daled) published by the Israeli Ministry of Education, and can be found as well in the Matach program. Complex Instruction – Complex Instruction is based on the premise that heterogeneity is a potentially positive opportunity to develop all students. In order to realize the positive elements of heterogeneous instruction, however, a restructuring of the learning environment is required. The frontal approach in which the teacher transmits the lesson will by its nature reach only a percentage of the students in the classroom. A significant focus of complex instruction is the sociological component of status within the classroom. The complex instruction researchers contend that in every classroom, some students assume dominant roles while others find their learning restricted because of their relatively low status. An important role of the complex instruction teacher is, therefore, assigning of competence in order to create a greater degree of equality within the learning community. Research has indicated that the student interaction, particularly verbal interaction, fostered by this approach leads to higher levels of achievement not only in the subject matter, but also in language arts. In a presentation at the Mid-Winter Conference of the Lookstein Center Principals’ seminar, Professor Clifford Hill of Columbia University stated that assessment drives curriculum. It is, thus, impossible to discuss curricular and methodological changes involving multiple intelligence theory and/or complex instruction without concentrating as well on a structured alternative assessment program. Professor Hill’s research demonstrates that traditional assessment instruments often fail to accurately evaluate the skills of all students. Standardized tests, and to a degree teacher made tests, are designed for a particular cultural perspective and thought process. For the sake of utility, traditional assessment sacrifices accuracy and fairness. On the other hand, many alternative assessment models have serious drawbacks. Alternative assessment programs tend to be more labor intensive and more difficult to standardize and quantify. As a result, they fail to create an adequate method of reporting student progress. Portfolio assessment, with all of its positive attributes, suffers from these drawbacks. 4: I make a claim and explain why it is controversial. 3: I make a claim, but don’t explain why it is controversial. 2: My claim is buried, confused and/or unclear. 1: I don’t say what my argument or claim is. 4: My writing has a compelling opening, an informative middle, and a satisfying conclusion. 3: My writing has a beginning middle and end. 2: My organization is rough but workable. I may sometime get off the topic. 1: My writing is aimless and disorganized. Instructional rubrics are easy to use and to explain. Instructional rubrics make teachers’ expectations very clear. Instructional rubrics provide students with more informative feedback about their strengths and areas in need of improvement than traditional forms of assessment. Instructional rubrics can help students become more thoughtful judges of the quality of their own work. Instructional rubrics support the development of skills. Instructional rubrics support the development of understanding. Instructional rubrics support good thinking. Restructuring of the learning environment. Increased collegiality among teachers – sharing of ideas regarding the best way to assess what kids know or can do. Enrichment of the relationship between teachers and students. Reduction of fear of assessment among students and an increase in self confidence. Ms. Andrade acknowledges that it is not easy to create rubrics. In her article entitled “When Assessment is Instruction and Instruction is Assessment: Using Rubrics to Promote Thinking and Understanding”, she does however suggest practical ways to create an effective rubric. 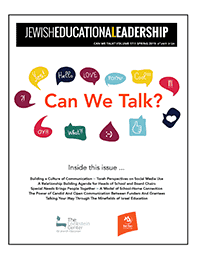 The increasing heterogeneity of the Jewish day school demands the development of approaches that will enable teachers to meet the needs of the entire class. The lack of standardized testing relating to Jewish Studies makes it a perfect area for the development of innovative curricular and methodological approaches and alternative assessment programs. Given the relative lack of appropriate educational materials geared for heterogeneous instruction, this effort will require a serious professional development program for teachers and administrators. The investment of time and resources, however, promises not only to help day schools better meet the needs of their students, but to revitalize the Jewish Studies faculties and programs.